JOE Stimson just remembers being in awe during his first Melbourne Storm training session. There was Billy Slater. The Kid. The legend. It was one of those "pinch yourself" moments for the promising prop from country NSW. "You put him on a pedestal ... like you can't talk to him," Stimson recalled. "But he's just one of those guys that goes out of his way to make you feel comfortable in the team. He comes up to you. "He's just one of the boys. After everything he's done, to have that much humility is extremely impressive." 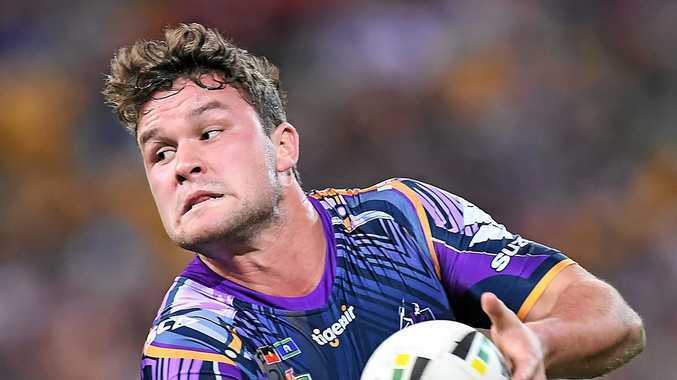 Having captained the Storm's NYC team in 2015, Stimson has relished the tutelage from Slater, skipper Cameron Smith and back-row mentor Jesse Bromwich after graduating to the senior roster. 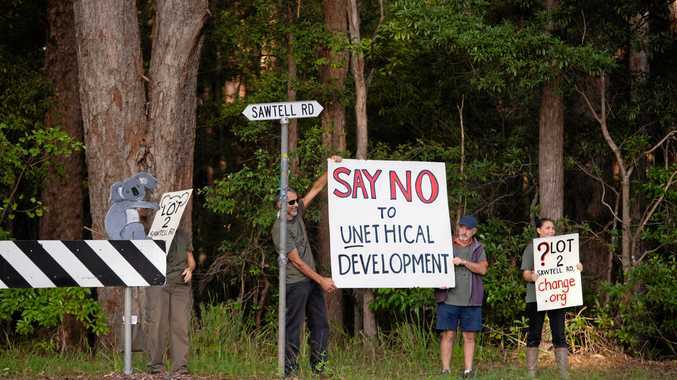 "If you're not learning anything off them, you're not willing to learn," Stimson said. "The boys run a tight ship. Everyone respects that. I'm so glad I started down here." This time last year, Stimson was preparing for an Intrust Super Cup grand final with Storm feeder team the Sunshine Coast Falcons. He played 15 NRL games in his debut season but was dropped for the Storm's finals campaign, making way for Kiwi international Tohu Harris. Stimson, 22, has now become an integral member of a full-strength Storm, holding down a starting spot in tonight's preliminary final in Melbourne against Cronulla. Coach Craig Bellamy has been an unabashed fan of the youngster's commitment. Stimson, in turn, says the coach's "work ethic sets the benchmark". "It's a bit weird, but I like the fact that I'm still proving myself and competing against the other boys (for a berth)," he said. "At training or playing ... you've got to be at your best to keep your spot. Competition (within the team) is healthy and makes me a better player for it." 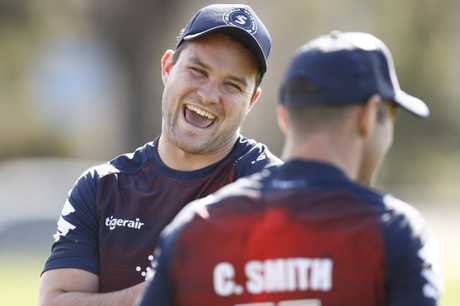 Joe Stimson shares a laugh with Cameron Smith at Storm training. Photo: Getty. Stimson hails from the small Riverina town of Temora - a breeding ground of elite footballers. As well as former league stars Ryan Hinchcliffe and Todd Payten, other local products include Trent Barrett (NRL), and Luke Breust and Jake Barrett (AFL), who are part of Stimson's extended family - cousins and second cousins. His dad, Peter, also played a handful of games for the Rabbitohs in 1997, and uncle Mark Stimson played 92 for the Tigers (1996-2000). Stimson, who loves getting back to the family farm, grew up a "massive Parramatta Eels fan". "Sad to say now," he said. "Out there (in Temora) you either go for Parramatta or the Dragons. "Now there're all Storm supporters. Most of the town is barracking for us, which is nice." 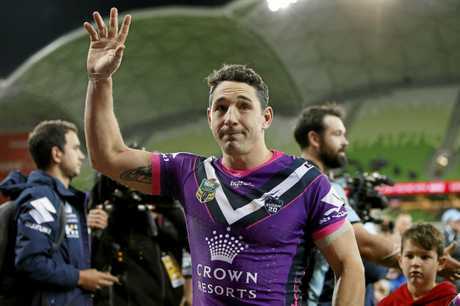 Slater will tonight play his last home game as the Storm look to turn the tables on old sparring partner the Sharks and win through to their third grand final in as many years. "They have beaten us twice (this year), so everyone's just that little bit more hungry," he said.